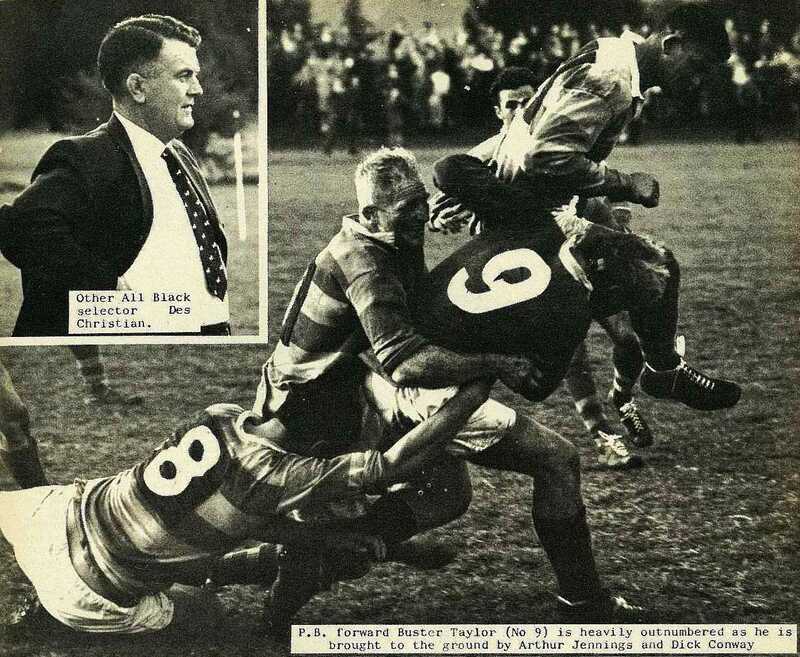 The representative rugby match between Poverty Bay and Bay of Plenty at Rugby Park proved to be a rousing encounter, packed with suspense to the last minute. 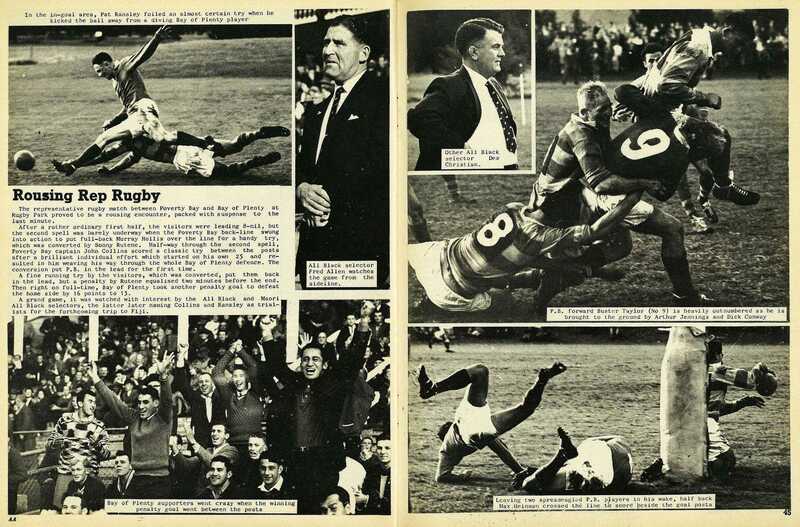 After a rather ordinary first half, the visitors were leading 8-nil, but the second spell was barely underway when the Poverty Bay back-line swung into action to put full-back Murray Hollis over the line for a handy try, which was converted by Sonny Rutene. 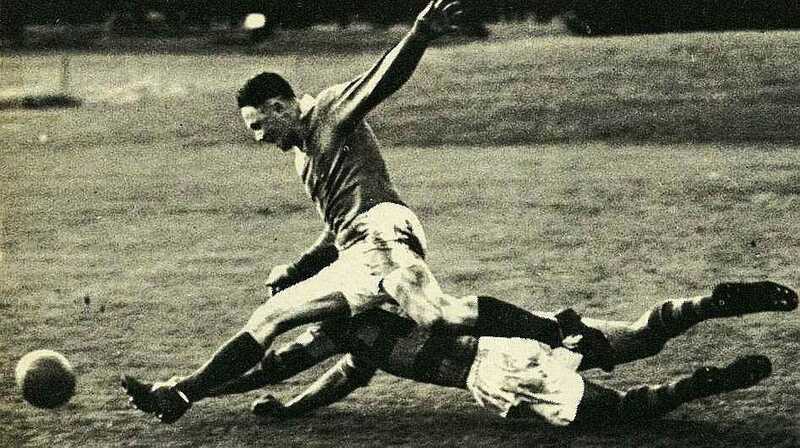 Half-way through the second spell, Poverty Bay captain John Collins scored a classic try between the posts after a brilliant individual effort which started on his own 25 and resulted in him weaving his way through the whole Bay of Plenty defence. 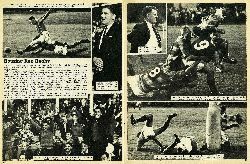 The conversion put P. B. in the lead for the first time. A fine running try by the visitors, which was converted, put them back in the lead, but a penalty by Rutene equalised two minutes before the end. 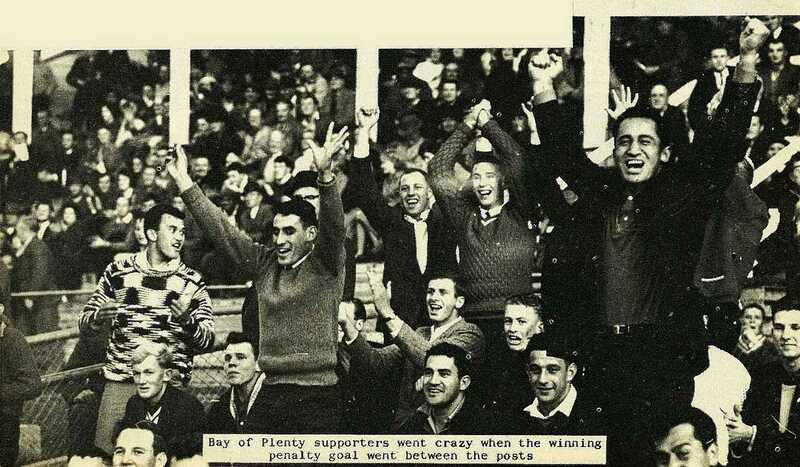 Then right on full-time, Bay of Plenty took another penalty goal to defeat the home side by 16 points to 13. A grand game, it was watched with interest by the All Black and Maori. All Black selectors, the latter later naming Collins and Ransley as trialists for the forthcoming trip to Fiji. 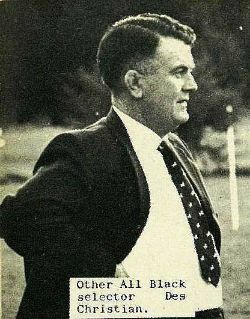 All Black selector Fred Allen watches the game from the sideline. Other All Black selector Des Christian.